For more than 50 years, we’ve honed our understanding of the unique acoustic and audio/video requirements of these spaces. And it’s our ability to translate this knowledge into acoustic and audio/video solutions for both architects and organizations that has solidified Jaffe Holden’s reputation as the world’s leading architecture consulting & acoustic design firm. 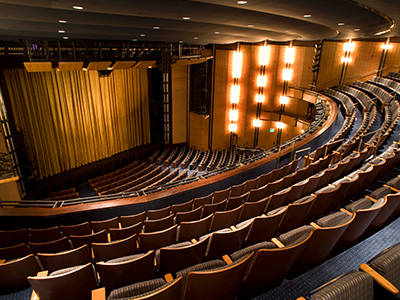 In fact, we’ve added acoustic design value to some of the world’s most iconic facilities, including Lincoln Center for the Performing Arts, The Juilliard School, the National September 11 Memorial and Museum, the Kennedy Center, The Academy Awards Museum and the Tokyo International Forum. Our distinct architectural acoustics imprint can also be found in numerous universities and other academic learning environments, museums, houses of worship, and government and commercial buildings. From the pre-design phase to post-opening tuning and commissioning, we’re guided by a single purpose: to add acoustic value to each client’s program space. Contact us so we can start collaborating on your project.